Montessori Placemat. Wooden Trays... and More. 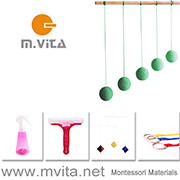 How we Montessori Shop - Update. I know I said I wasn't expecting many new items this week however... we have a few new items on our What's New page. I was more than delighted to receive our Easy Clean Montessori Placemats. We've tried it with everything and it does not stain. While I love the charm of cloth placemats this is so easy to wipe down. This is one of the finds that makes running a store such a thrill. We are trying a new supplier for our wooden trays and again, I couldn't be happier. The Small Wooden Trays - with Handles are excellent quality. If these are well received I will order the same in the medium and large size. We also have a light-weight tray in Small and Medium - the uses for these are endless! We have received our stock of Wallet Cards. We have the Alphabet, GO! (these would work well as action cards), Numbers and my favourite - the creative Colour and Shape decks. These sets come packaged in a drawstring bag and would be lovely to give as a gift or for Christmas stockings. A couple of other additions to the store this week include this charming Chinese Wooden box and the Sound Matching Game. I hadn't heard of auditory memory until recently and in many ways hadn't realised it's importance. With Caspar currently in Speech Therapy you think I would have know better. While this game is great for children who need to strenghten this area of development it's a good, fun game for all children. The CD contains sounds of everyday items and the child needs to identify and match the sound to photographic image on the game card. Caspar loves to play the game as intended, Otis loves more than anything to identify the sound and then mimic it. Thankfully we are back in stock of our Basic Crinkle Cutter and we have received only a small amount of the Spreader/First Knife. 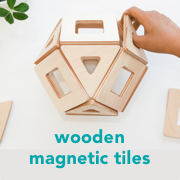 If you are waiting for a particular item to come back in stock and don't want to miss out, send me an email (howwemontessori@gmail.com) and I can let you know when they are back or put one aside for you. The Natural Construction Set and the Dustpans should be back in stock any day now. We are also expecting an indoor broom to arrive soon. While the shop is getting full I'll always open to ideas and suggestions and most of all if you are a supplier of quality children's/Montessori materials I'd love to hear from you. On a personal note I am trying to re-arrange the boys work spaces and bedroom. We are preparing to use their study as a guest room in the lead up to Christmas and both need new tables/desks. I have lots of ideas but we are short on space. I'm going to try a few new things and perhaps share them here. I'm always interested in children's rooms and work spaces and they are always fun to work on!